Mondays, 3/4 through 4/29 (closed for Spring Break on 3/18). Guests will not be admitted after 7:00 pm. *Tickets are only valid for the selected date and are non-refundable. Please allow approximately 1 hour for dining experience. Where is the Dining Room located? 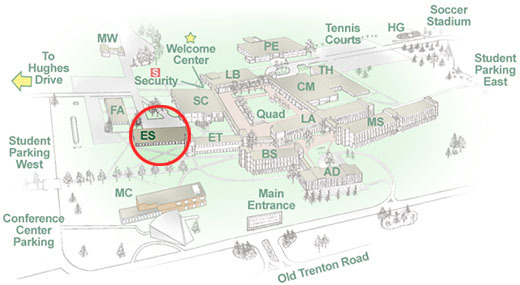 The dining room is located in room ES 111 the Engineering Systems building, marked as ES on the campus map below. This is on the west side of campus, with parking nearby as noted on the map. The College is deploying wayfinding signs on the campus loop roadway and on the walkways. Please make note to the seating arrival window for each individual class restaurant - guests will be seated on a first come basis during that window. We sincerely appreciate your patience and understanding with seating and service. Our students are continually learning and will do their best to satisfy your needs and wants to the best of their abilities. The price is $10 for members of the campus community, and $12 for guests. You can purchase tickets online here. All tickets will have a ticketing fee of up to $1.50 (online) and $1 (at Bursar or Kelsey Theatre). 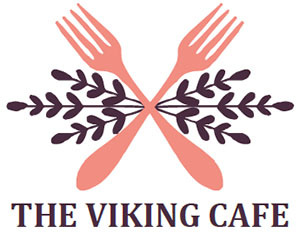 Click here for the less formal Viking Café menu. The offerings are incredible! No, alcoholic beverages are not allowed in the HRIM Dining Room, except for use by the students in preparing dishes.